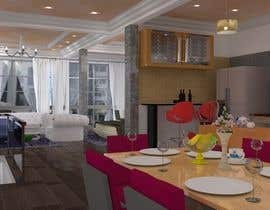 I have a 100sqm apartment bare unit and I would like your help to create realistic high quality renders with 3ds MAX. Please furnish the place with lights, furniture, carpet, and other fittings as needed. Please submit floor plan and 3D renders. Floor plans should show the width of the various walkways. After the contest has been awarded, I will send your renders to a local builder in Singapore to build the place as close as possible to the chosen design. Contest entries are sealed so please send me your original ideas! Entries are judged based on realism, colour theme, materials. 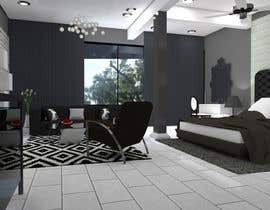 I will need a sufficient number of renders per plan so that the local builder can see it every part of the apartment. Multiple winners are possible. Please use cement/concrete floor for the apartment. The toilet and bathroom walls and floors are tiled. Area planning- Not drawn to scale. Here is how the ceiling will look like. he extended the contest today earlier just to make her submit an entry and declared her as a winner . The winner didn't even render your scene !!! is it only 3Ds Max only.. Can I Use SketchUp ? If you do so, I will work on it!. Thank you for the message. I may consider doing so after I have seen some of the entries over the next few days. It really amazes me people on here looking for high quality work and not willing to pay for it. $100? What you think all our years of study was free? You're a developer and you can't afford it? Its actually offensive. I wouln't expect a student to do this kind of work for me for chicken feed. I expect to purchase multiple designs from various freelancers. Setting such a budget allows me the liberty of being able to do so instead of running a contest and only 1 person gets paid while the rest don't get their efforts compensated. Finally, if you would like to submit, I would appreciate it. If the money is too little for you, I understand. Have a good day! Clarification- I meant every chosen design will be $100 each. I will purchase your design at or before the end of the contest. Alternatively, I can also make a project just for you so I can leave feedback for you. Did this contest already done ? 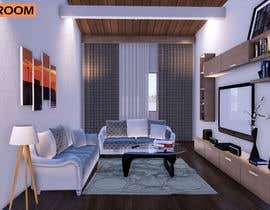 https://www.freelancer.com/contest/Home-interior-design-Propose-layout-and-concept-1097789.html. are you remake the contest ? Yes, I would like to be more ideas so I can have more options. That is why I plan to have different artists making the renders and sealed contest. Hopefully I can have more original ideas. The difference is this contest has the layout already planned out. The last one includes area planning. Looking forward to your submission! hello is really for 3d max only?